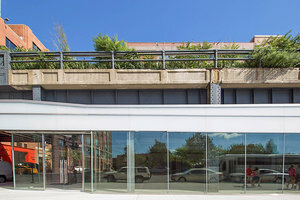 This vast retail space is situated close to The High Line in Chelsea. 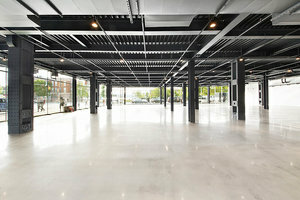 This immense space is perfect for large-scale Pop-Up Stores, Product Launches or Fashion Shows. With a glass frontage that wraps around the block, this loft space offers great visibility and the is filled with natural light. There are semi-industrial interiors with polished concrete floors, metal ceiling columns and track lighting. This loft space is ready to be transformed with basic amenities including air conditioning, bathrooms and lighting. 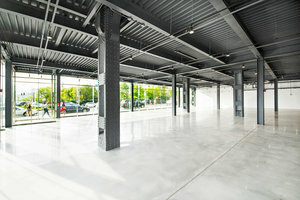 Situated close to the West Side Highway, Chelsea Piers and surrounded by reputable art galleries and popular stores, this space is well-located for unforgettable events and pop-ups. Available to rent for a minimum of three months this space is ideal for brands looking for a mid-term rental opportunity.